Last Sunday, I went to Nepal. I ate a Nepalese meal, learned a little about the local culture and met fellow travellers. Best of all, Nepal was only a 30-minute bike trip from my house! How was all this possible, you ask? Two words: Lunch Trip. Lunch Trip is a young organization that describes itself as “a social group formed to enjoy many different cuisines from various parts of the world.” Every other month, Lunch Trip plans a trip to a new country. Since their establishment in 2008, they’ve visited over 20 countries including Jordan, Norway, Peru, Israel and Cambodia. On occasion, they’ve been hosted by embassies; at other times, they’ve collaborated with other international exchange organizations such as CouchSurfing and Beers for Books. Anyway, as I’m sure you’ve already guessed, this month’s destination was Nepal. 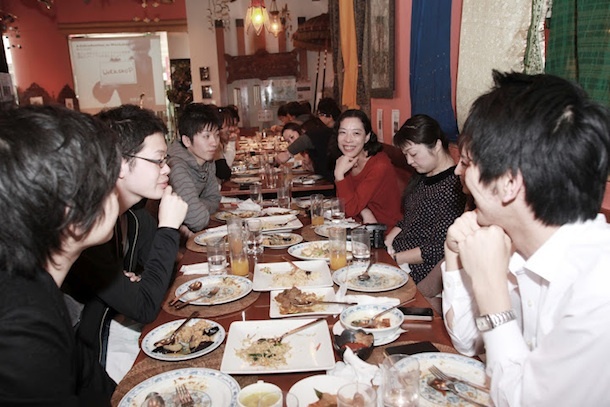 The Trip was held in a small Nepalese restaurant in Shibuya and over 25 people participated. After a hearty lunch of dal and momo (dumplings), we listened to a short presentation on Nepal and then broke into small groups to talk about our own travel experiences – what we loved and what we learned along the way. The final item on the itinerary was a Q&A session with a Tokyo-based Nepalese man (whose name escapes me – apologies!). He talked about his journey from Nepal to Japan, spoke briefly about his home country and then answered questions covering a wide range of topics from politics to gender issues. My favorite thing about the whole experience was meeting a bunch of young Japanese people who were deeply interested in the world and different cultures. For me, they represented a marked departure from the tour groupies that have characterized Japanese travellers in the past. They talked about independent travel, responsible tourism and a desire to dispel cultural myths and stereotypes. They travelled to learn about local lifestyles and experience somewhere new. But, at 2000 yen ($20) a pop, I’m all aboard. Next stop: Madagascar! This entry was posted in Explore, Taste, Tokyo. Fantastic! 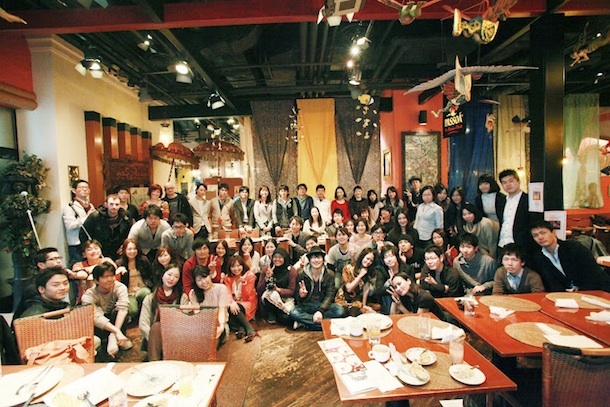 I wish I’d known about Lunch Trip when I lived in Tokyo.